These style of trousers originated from American military. The soldiers of the American army would wear chinos which were usually made of cotton material, usually slimming the body. In comparison to dress pants, these trousers are less formal in look but dressier than a pair of casual jeans. The most attractive feature of chinos is that they come in different colour choices and can be used for both formal and informal occasions. While colour is an important element when buying Chinos but the fit is essential too. The right pair of Chinos should match one’s height and build. These trousers should neither be tight-fitted nor very baggy. You can style Chinos with a light weight shirt. Add to this a branded belt which will complete the look. For a graduated aesthetic, opt for hem chinos. These can also be cuffed to complement a pair of loafers or brogues. Very easy in terms of styling, chinos can be moulded in accordance with the occasion. A blue linen shirt which is teamed with a beige coloured pair of chinos is great for the day look. For a dressier look, you can go with a blazer that is contrast in colour. A personal touch such as knitted ties or attractive pocket squares can amplify the overall look. Pair these up with a t-shirt and hem chinos for a more casual look. This is the best part of shopping for chinos because you can pick a variety of colours. Pick up the basics such as white, navy, or khaki which work best in terms of basics. Emerald greens or blues offer a fresh impact for a casual and smart look. Opting for earthy browns lend masculine and rugged look. The key is to select classic tones of shades for that lasting look. 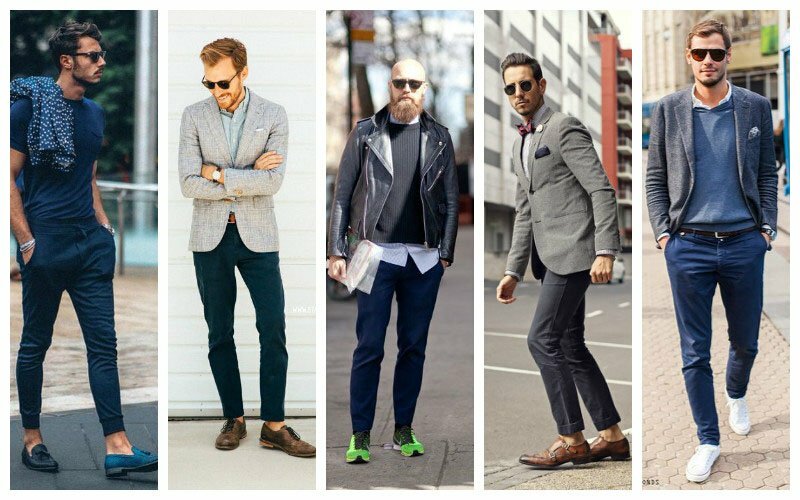 Pick your favourite pairs of chinos from popular online stores such as Jabong, Myntra, Koovs, etc. This entry was posted in Fashion and tagged chinos, chinos online on February 2, 2017 by riyabhora. Yes, great post! I’ll definitely forward this to my boyfriend!